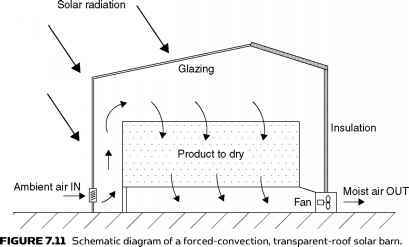 Large-scale, commercial, forced-convection, greenhouse-type dryers are like transparent roof solar barns and are used for solar timber drying kilns (see Figure 7.11). Small-scale forced dryers are often equipped with auxiliary heating. 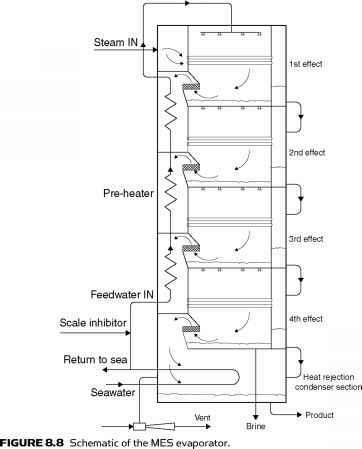 FIGURE 7.10 Schematic diagram of a distributed-type active solar dryer. the drying chamber. 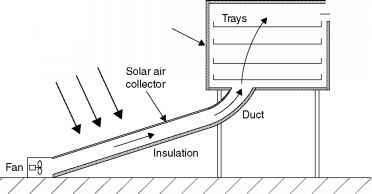 A solar-roof dryer is shown in Figure 7.12. A collector-wall system is like a Trombe wall, described in Chapter 6, where a black painted concrete block wall with outside glazing forms the solar collector and serves also as a thermal storage. 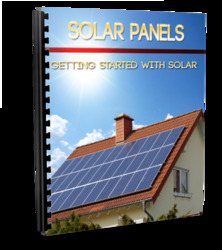 What is a solar dryer?